How to Get Kids to Eat Veggies: Tips From A Plant-Based Momma! 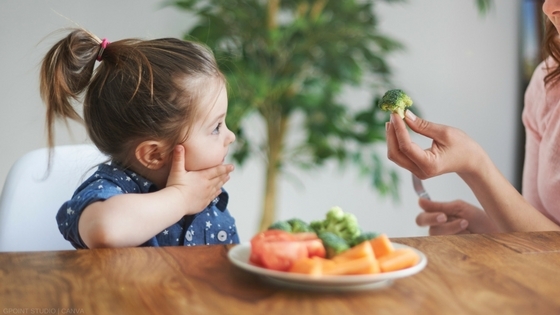 You Are Here: Home → My Toddler Won’t Eat Veggies—HELP! My Toddler Won’t Eat Veggies—HELP! My daughter just turned two years old this week. And with that age comes new fun as well as new challenges. She’s hilarious and curious, but like most toddlers, she’s also stubborn and searching for new ways to push her limits. I’ve noticed a change in her taste buds as well. Food favorites that she couldn’t live without have changed, and now she has new cravings (which can change from day-to-day). Up until recently, she was obsessed with bananas. We couldn’t even say the word out loud unless we had 3 ready to feed her. But now, if we put a banana on her food tray, she won’t even touch it. Same response with certain vegetables like cooked spinach and sweet potatoes. So how do you make sure a toddler gets a diverse diet when the only thing they ask for is 2 or 3 foods? It can easily be done—it just takes some creativity! My first suggestion is to incorporate at least one smoothie into their daily routine. If a particular smoothie recipe isn’t an instant hit, try a different variation! Add more fruit and use different ratios of vegetables. I guarantee with a little experimenting you’ll be able to find a recipe that they love and ask you to make again and again! This is a great way to sneak in veggies like spinach, kale, and even carrots (if you have a high-speed blender). Another great way to sneak in a variety of vegetables is by blending them into sauces! My daughter is currently obsessed with brown rice noodles with marinara sauce. My secret: you can blend almost any vegetable into a pasta sauce and no one will be able to taste a difference! Most recently I blended in spinach, kale, and squash, and she took down the entire plate like normal. The last thing that has really helped my daughter lately with consuming a wider variety of food, is adding seasonings such us onion powder or garlic powder, and letting her watch me do it! It not only introduces a taste that she isn’t used to, but seeing me put something new on her food also triggers her curiosity to give it a try. For her seasonings, I avoid anything that has added salt, sugar, or preservatives. Onion powder has definitely been the favorite so far! 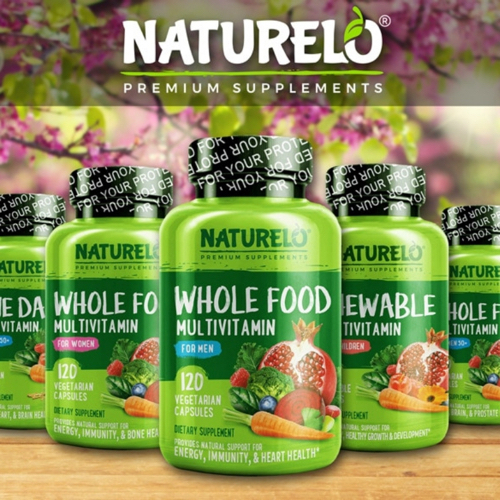 Many herbs and seasonings are also loaded with nutrients and antioxidants. If your kiddo takes a liking to turmeric, thyme, basil, oregano, cumin, and beyond—it’s a huge win. Their little bodies can make great use of all the nutrition in those fun spices! Keep getting creative and don’t get discouraged. 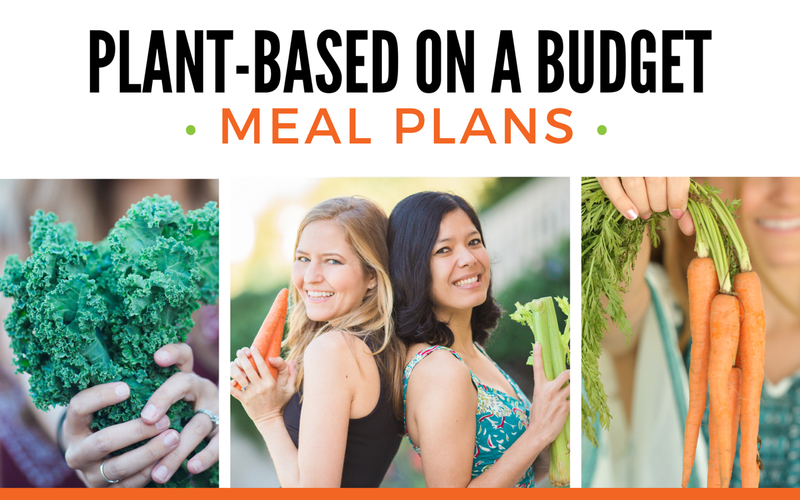 Find variations of the few meals they are obsessed with so you can work in all the nutrients that they need! You can find more from Dr. Kasey Johnson over at her website and on her podcast, The Unlock Wellness Podcast. You can find more resources for vegan parenting and raising vegan kids here. Cover photo from Canva by Gpoint Studio. 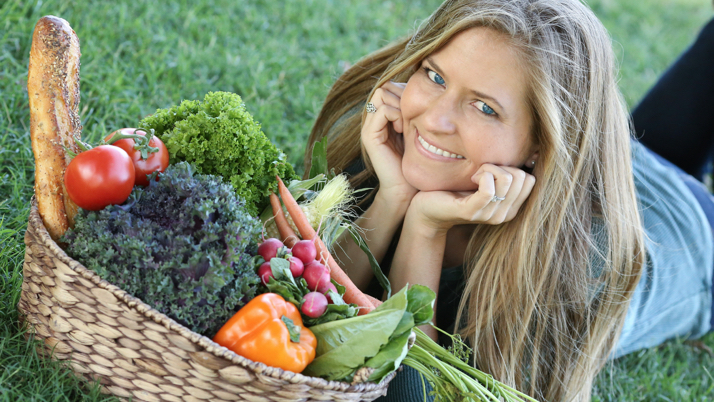 Dr. Kasey Johnson is a plant-based chiropractic physician with a mission of transforming the health of as many families as possible. 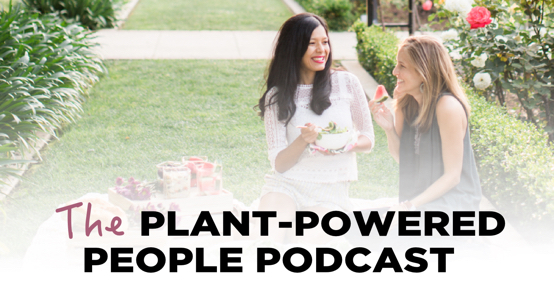 Dr. Kasey is the host of The Unlock Wellness Podcast where she speaks with health experts, community leaders, and people who are dedicated to helping others reach their highest potential. You can learn more about Dr. Kasey’s podcast and body of work at DrKaseyJohnson.com.